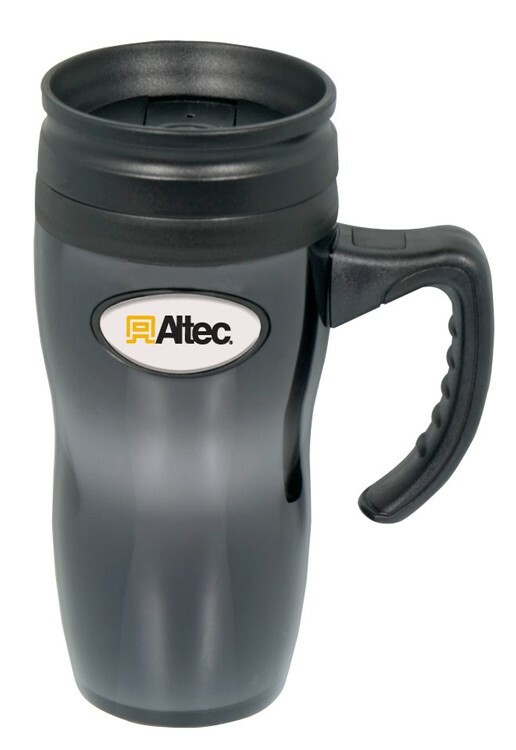 Our sleek non-handle auto cup has a 16 oz. capacity. Double-wall construction keeps liquids hot or cold for hours. Thumbslide lid prevents spills. Price includes one color imprint. - Second side or wrap imprint available. - Ships in individual polybag at no additional charge. Recycled material colors are black, Navy, Tan, Dark Green, Gray. Custom Colors are available Min. 5 000. Please call for pricing. Don't just wait for how awesome your company is to dawn on your clients. 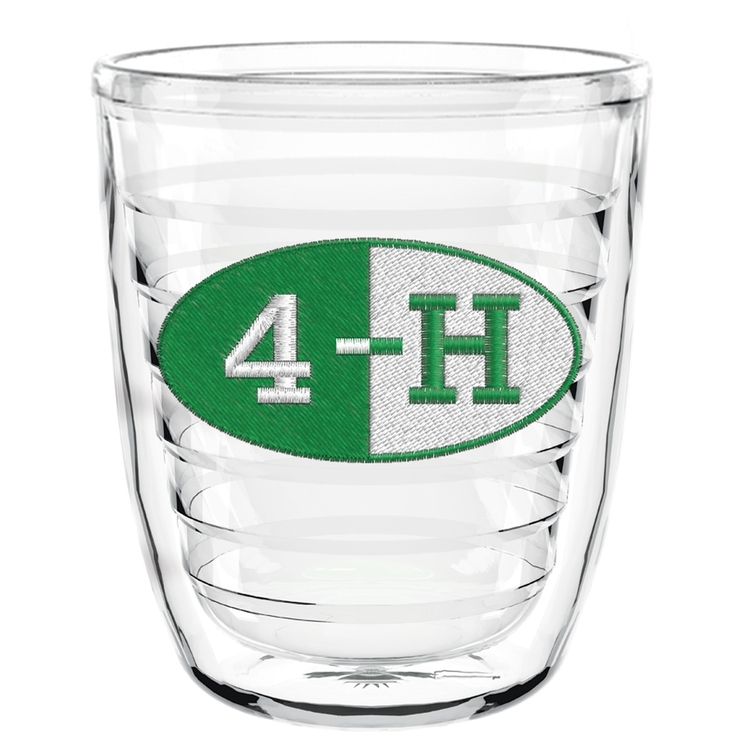 Advertise with the IM44 Mug! 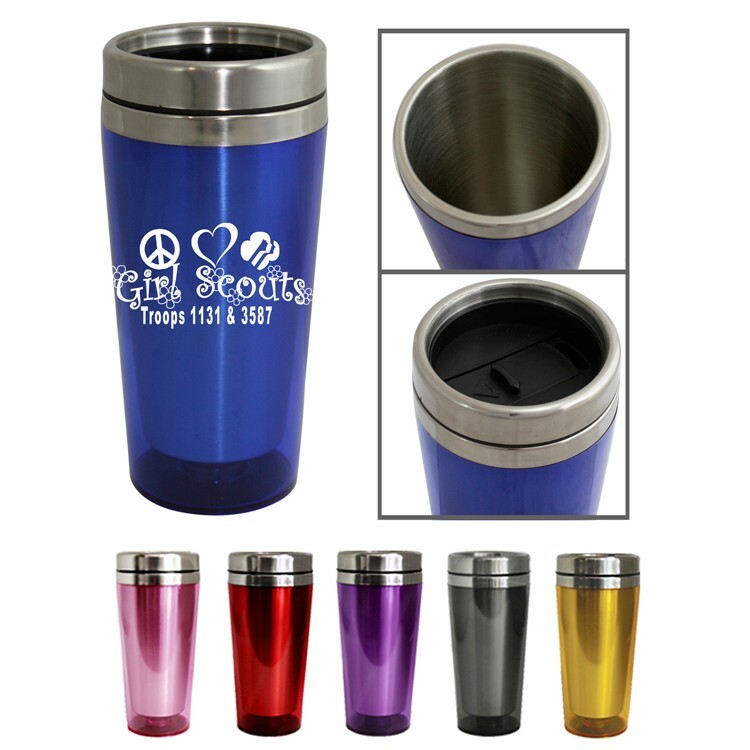 This BPA free cup is double-wall insulated and made of polypropylene. A snap-on, drink-through lid is included. 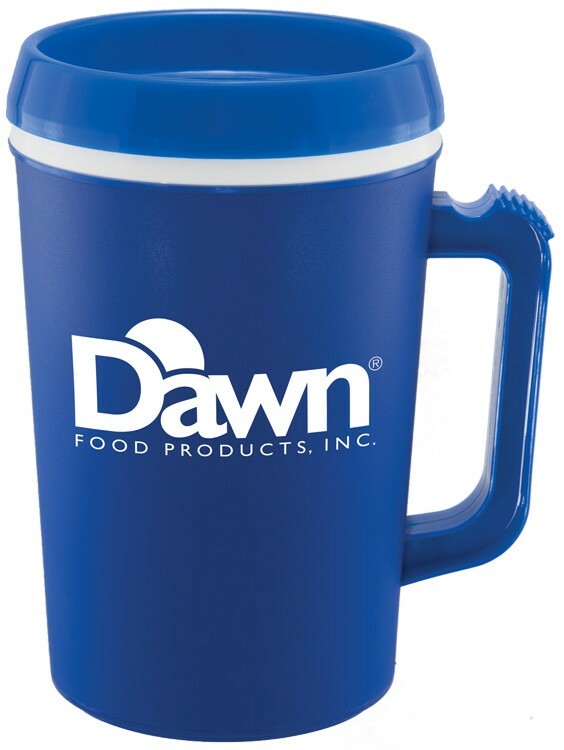 Top-rack dishwasher safe, this mug can be reused, making your marketing message one that's sure to be seen time and time again. 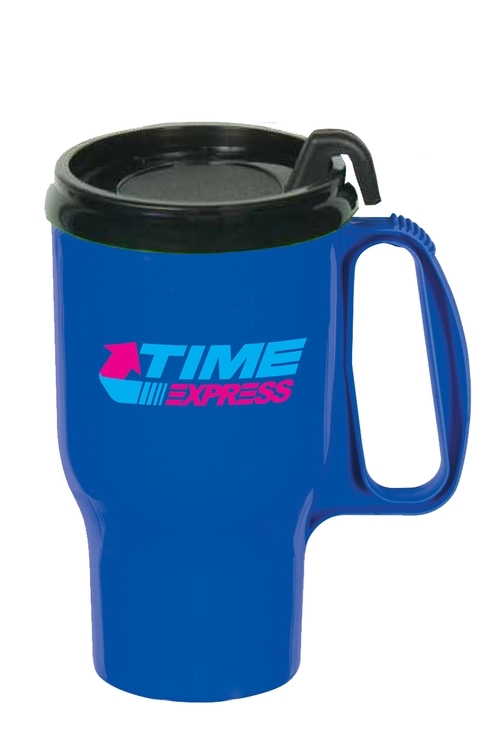 It's a great giveaway idea for tradeshows, seminars, conventions, conferences and more. Keep your brand within reach day after day! 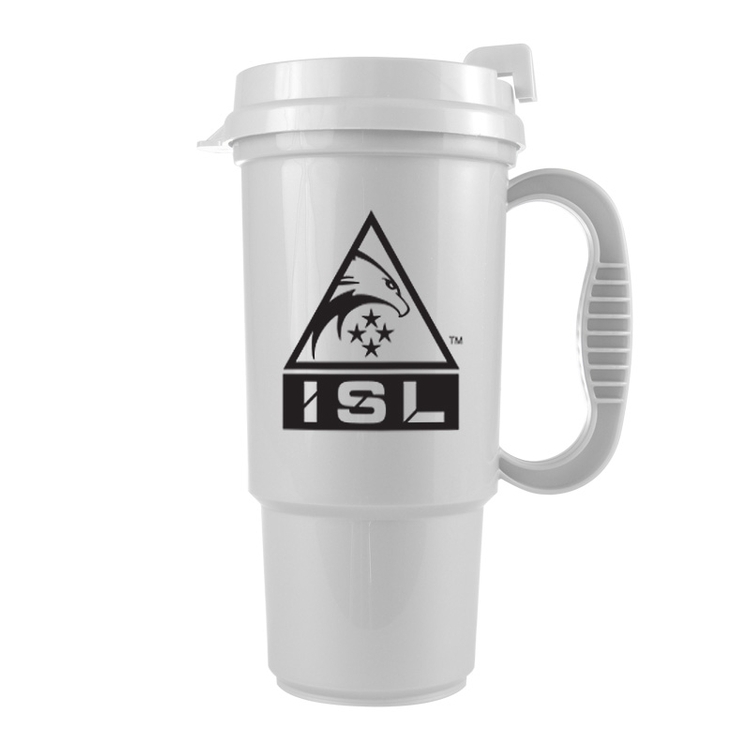 For an out of this world promotion, use this Galaxy Mug in your marketing plan! It has a 16 oz. capacity and is double-wall insulated. The screw-on, spill resistant thumb-slide lid is included. It has a high gloss finish and measures 5" x 7 1/4". It's made of SAN plastic material. The N-Dome (TM) decoration provides incredible color. Prove you're up to the big jobs with this 34 oz. 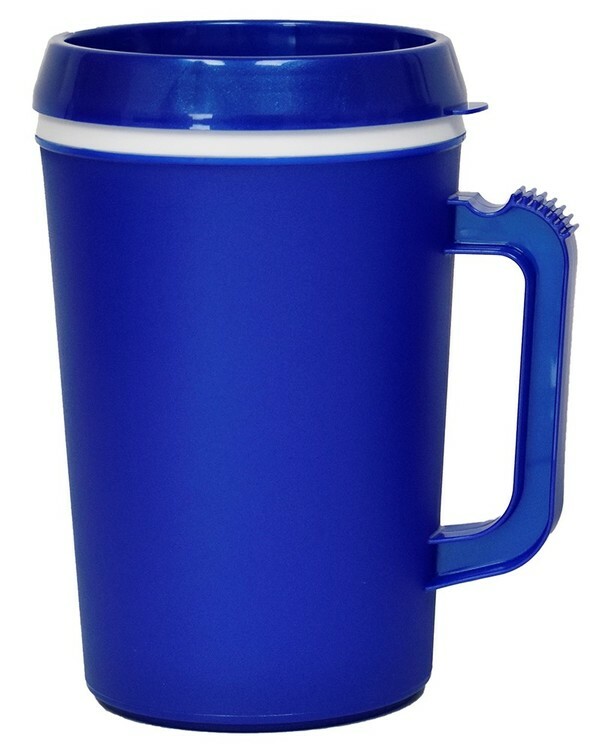 Insulated Mug! 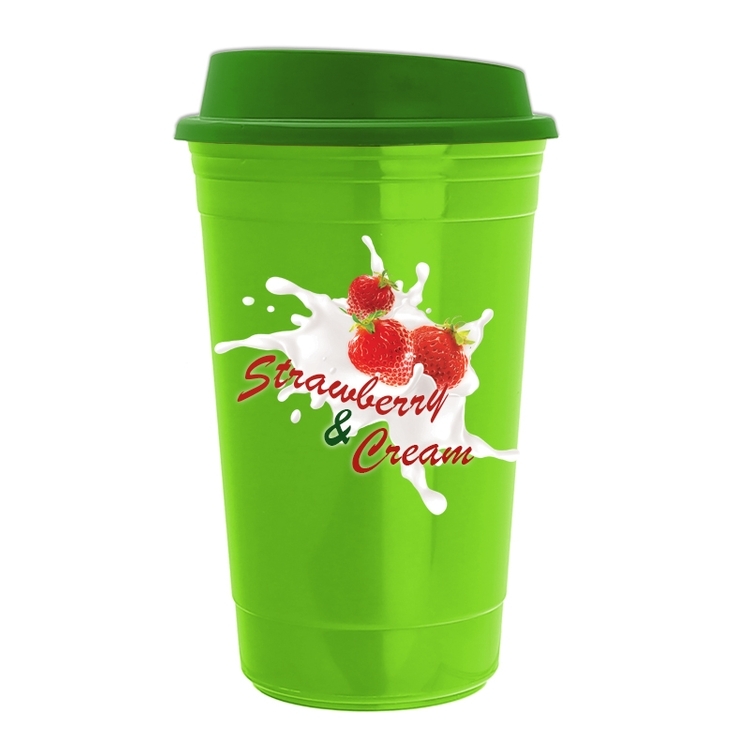 This cup has the quality features and capacity that everyone can appreciate. 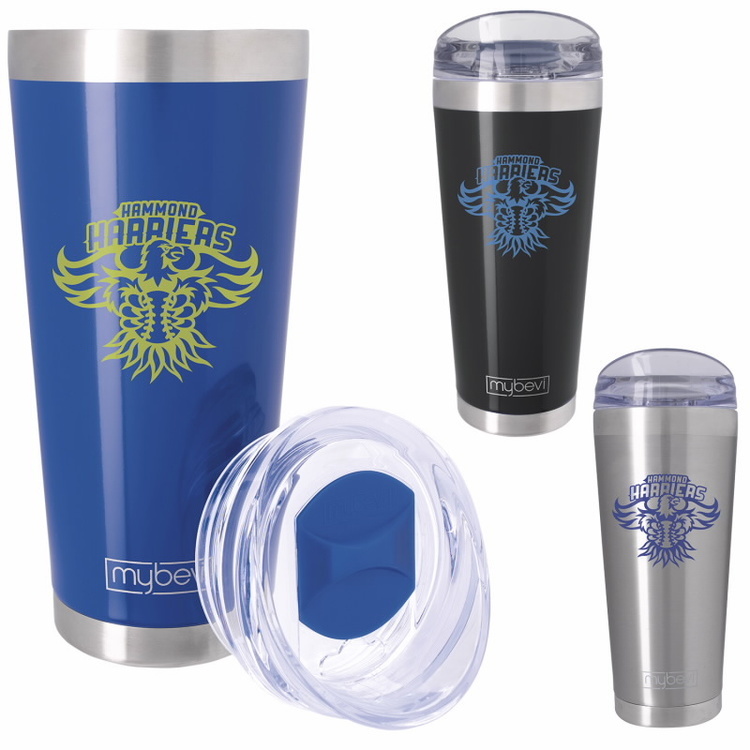 Its double-wall construction and sturdy snap-on drink-thru lid are designed to keep any beverage temperature perfect for hours. 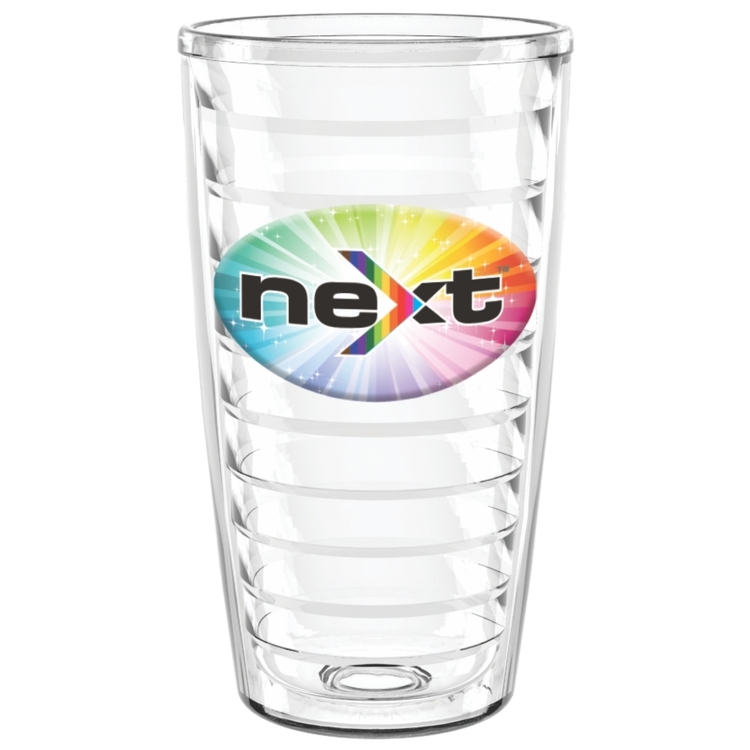 Choose both your mug and lid color for the 6 3/4" x 7 3/4" BPA free polypropylene material glass. It's top rack dishwasher safe and FDA & Prop 65 compliant. It's even made in the USA. 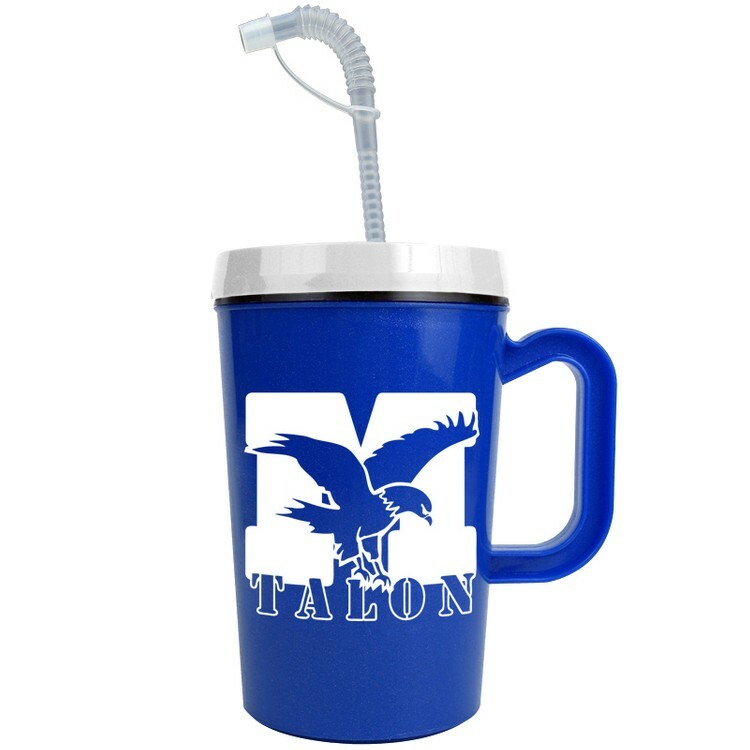 No thirst is too big to quench with this huge promo product! 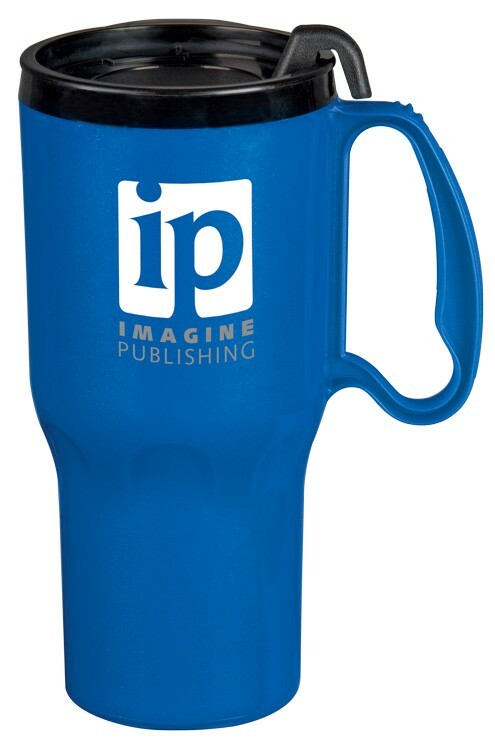 Get more than a handful of help with your advertising campaign with the IM22 Mug! The 22 oz. 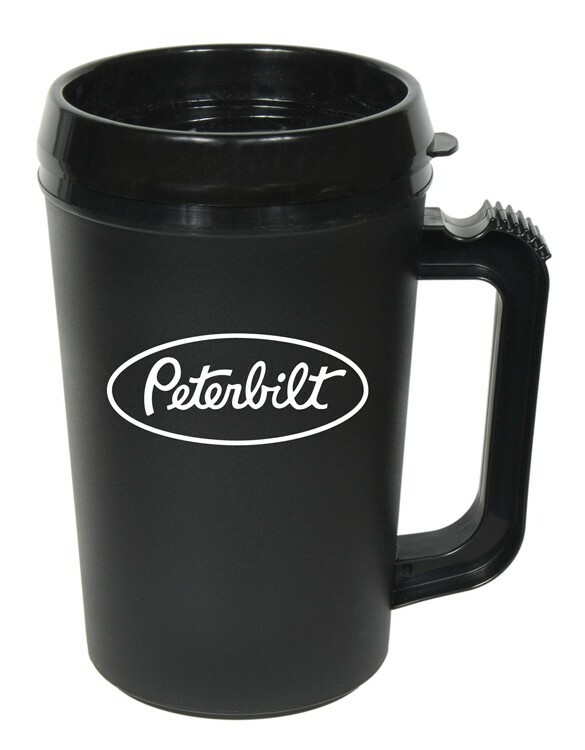 double wall insulated mug is made in the USA. 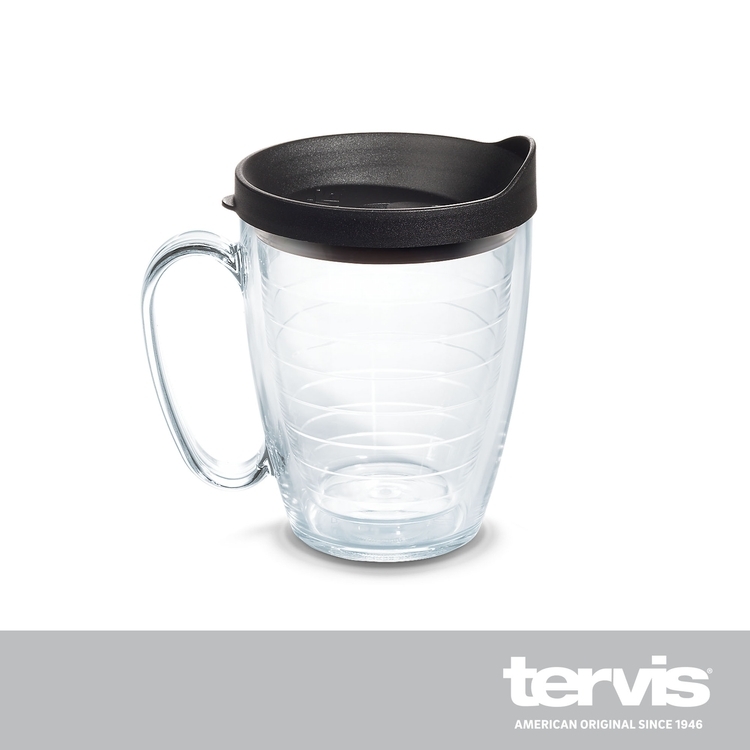 It's constructed with BPA free polypropylene and features a four-finger handle and a snap-on drink-thru lid. It's top-rack dishwater safe, BPA free, FDA approved and Prop 65 compliant. A one color silkscreen imprint on one side, two sides, or a wrap is included. There's a two color imprint maximum. 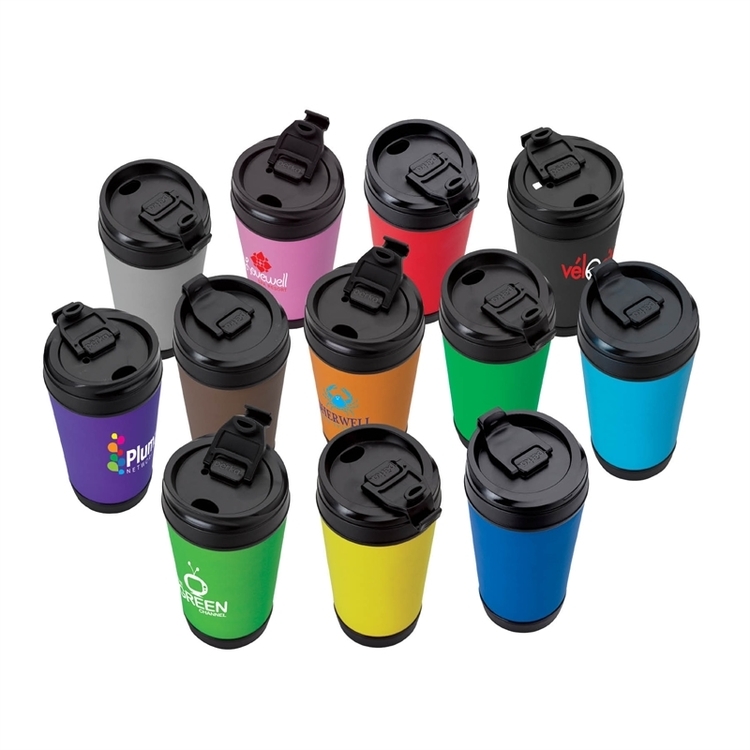 Create your unique promo tool by choosing from 14 mug colors and 7 lid colors. 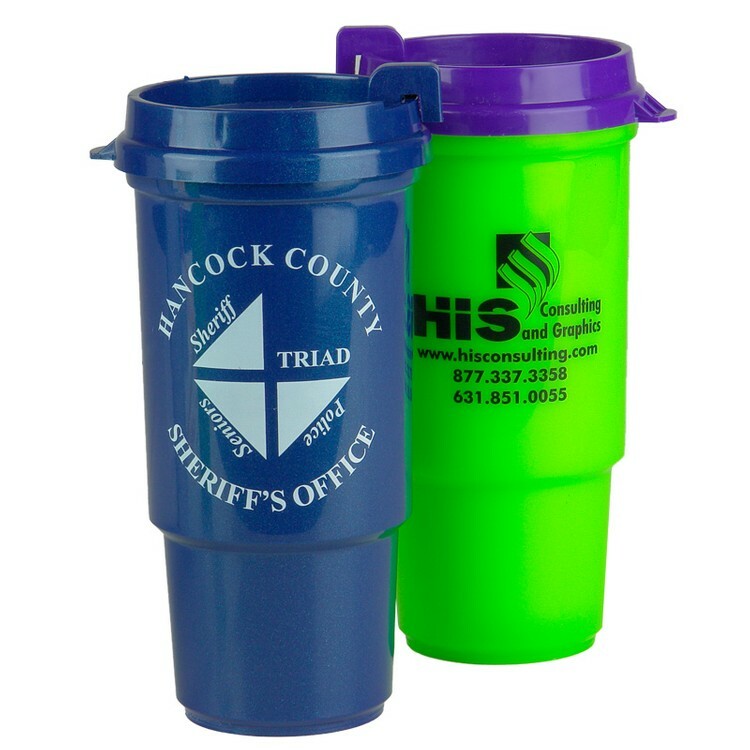 See how many clients this great item can get your business! 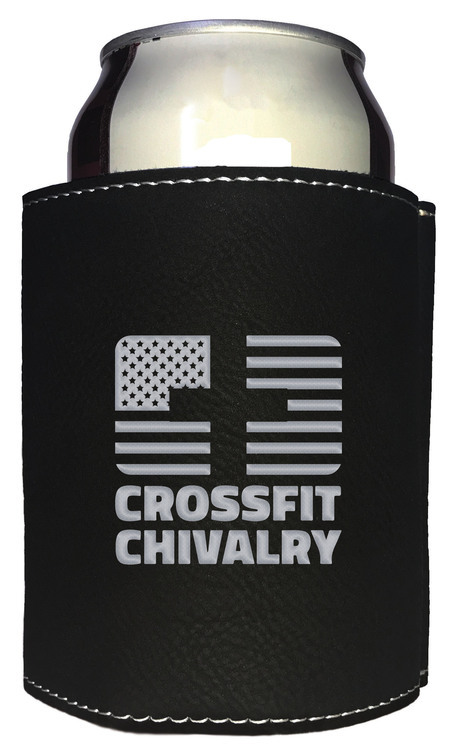 Sleek non-handle design keeps 16oz. of liquid hot or cold for hours with double-wall construction. Thumb-Slide Lid helps prevent spills. Price Includes Digital imprint on one side. 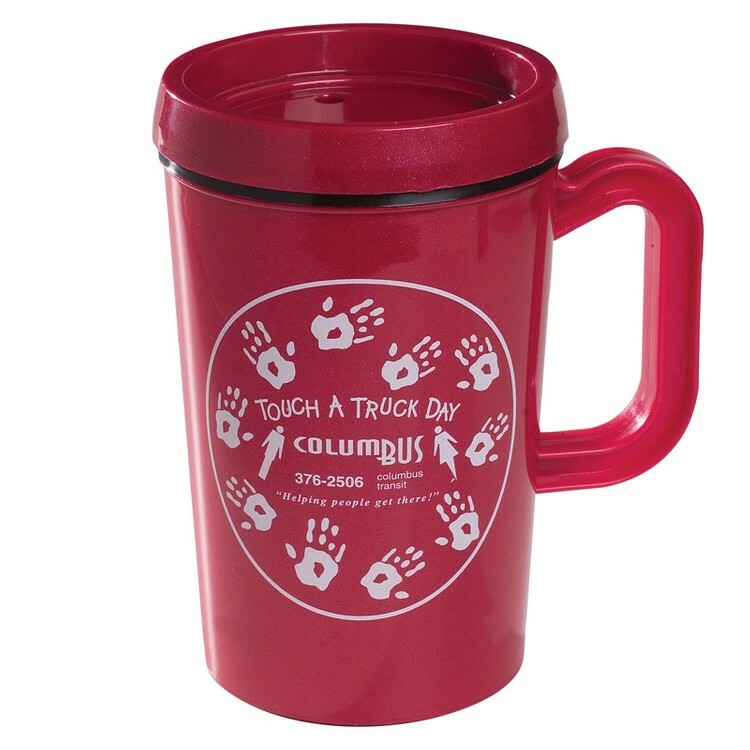 Get down and dirty by adding the Low Rider Mug to your marketing plan! The 16 oz. 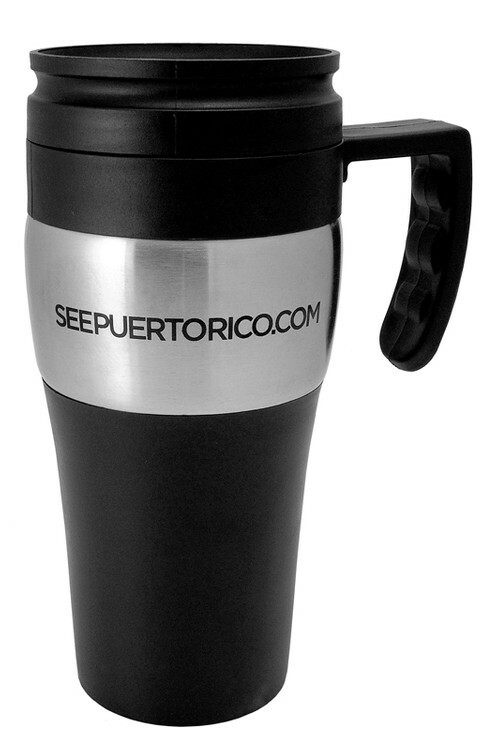 mug is made from BPA free polypropylene material in the USA. The wide-bottom design provides stability as it rests on desks or dashboards. For added assurance, it features a non-skid rubber base. Double-wall insulated, its comfortable handle with grip and convenient snap-on spill-resistant thumb slide lid make it a pleasure to use. It measures 6" x 4 5/8" and is top-rack dishwasher safe. It's FDA and Prop 65 compliant as well. Enjoy the comforts of great advertising! Give your clients the Galaxy Mug Gift Set when you think that they're out of this world! 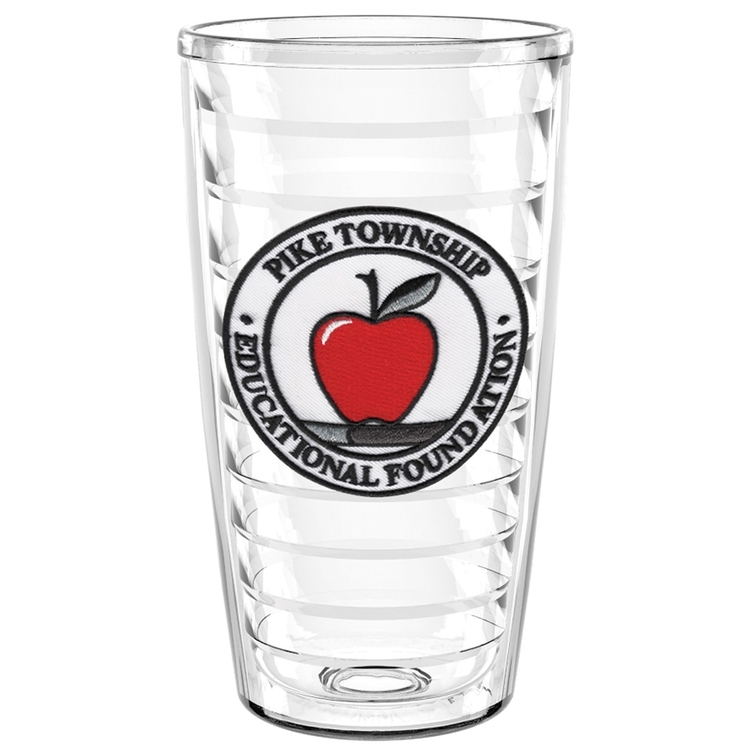 The set includes a 16 oz. galaxy mug and an orbit coaster packaged in a velvet pouch with hang tag. 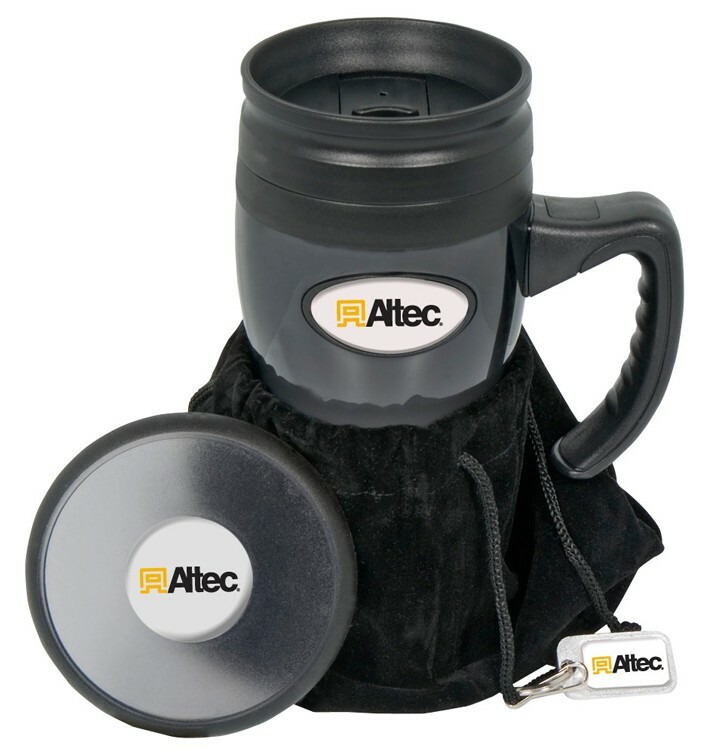 The mug is double-wall insulated and features a screw-on, spill-resistant thumb-slide lid. 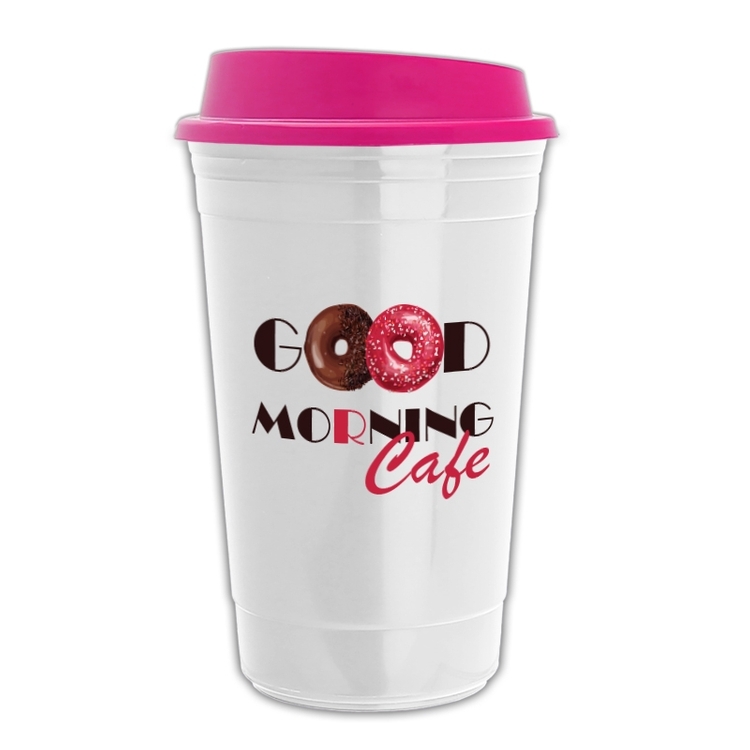 It has a high gloss finish and is made of SAN plastic material. 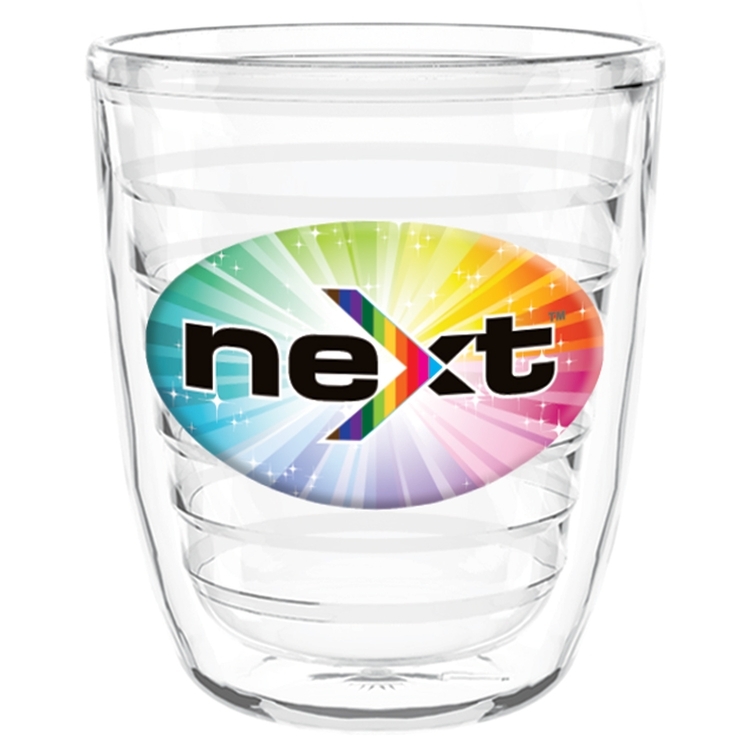 With the incredible color of the N-Dome (TM) four color process on all items, both you and your customers will be ecstatic about this awesome gift set! Embark on a new advertising adventure with the Traveler (TM) Mug! This 16 oz. 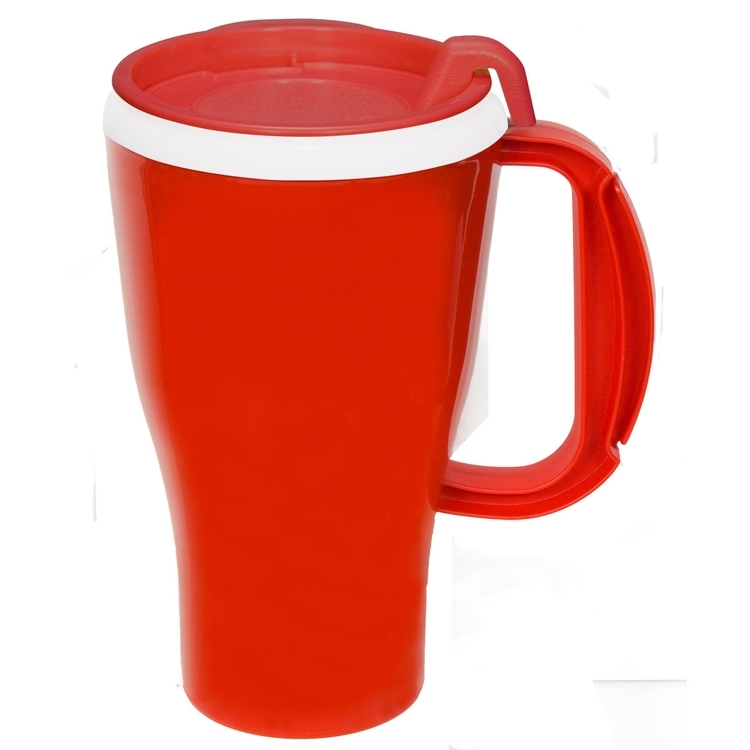 mug is made in the USA of polypropylene material. 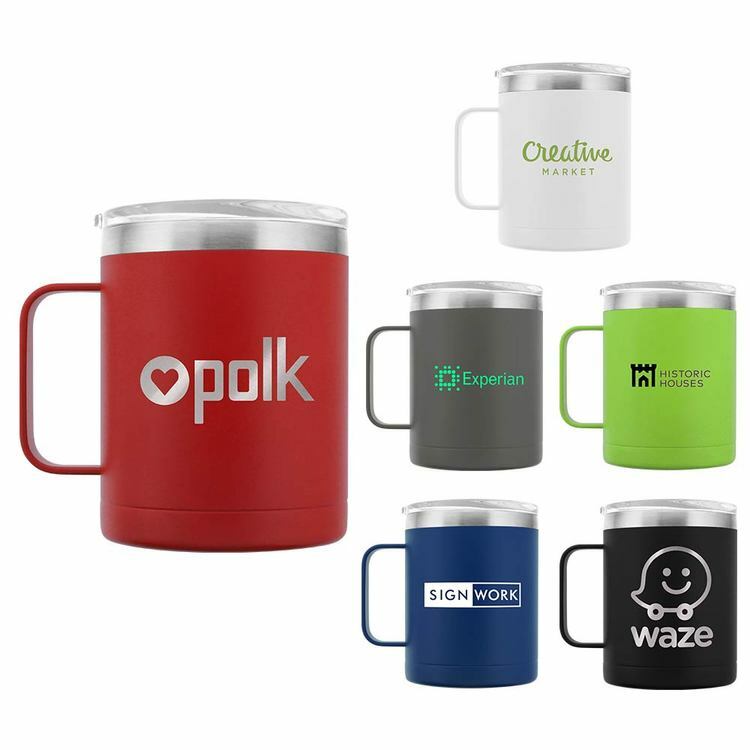 With six colors to choose from, the double-wall construction joins the famous Closer Lid to keep coffee hot or sodas refreshingly cold. This amazing cup is top-rack dishwasher safe. 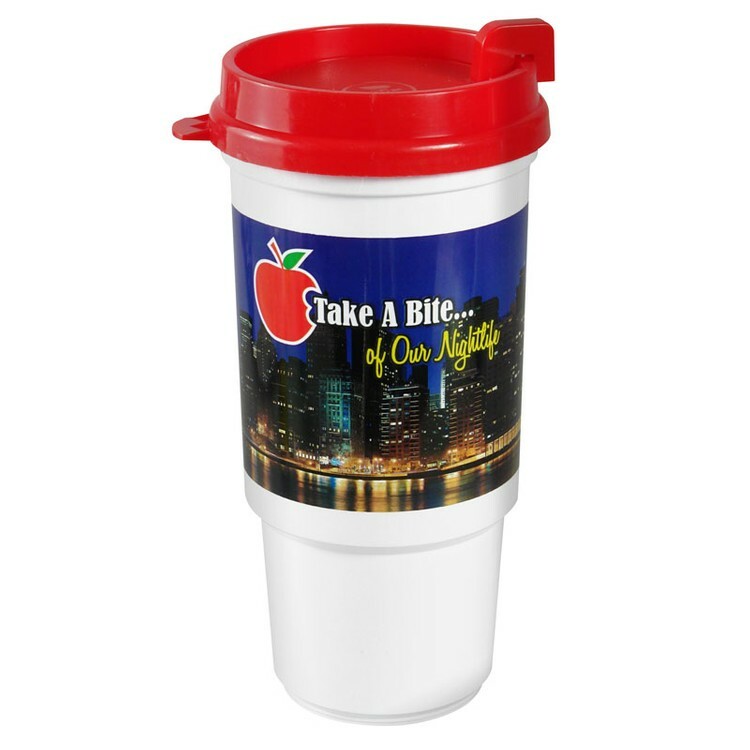 It's a great promo tool for tradeshows, expos and conventions. Make your customers smile as they start their business journey with your company! 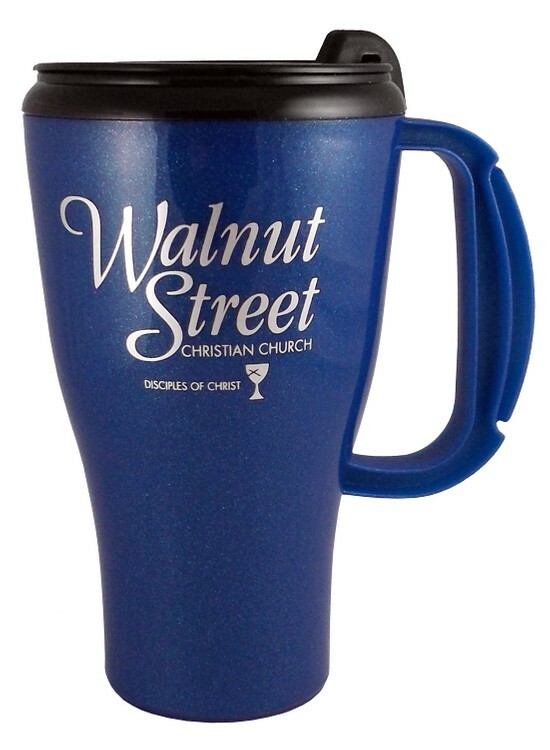 Hit the ad campaign trail running with the Sportster Mug! This 21 oz. 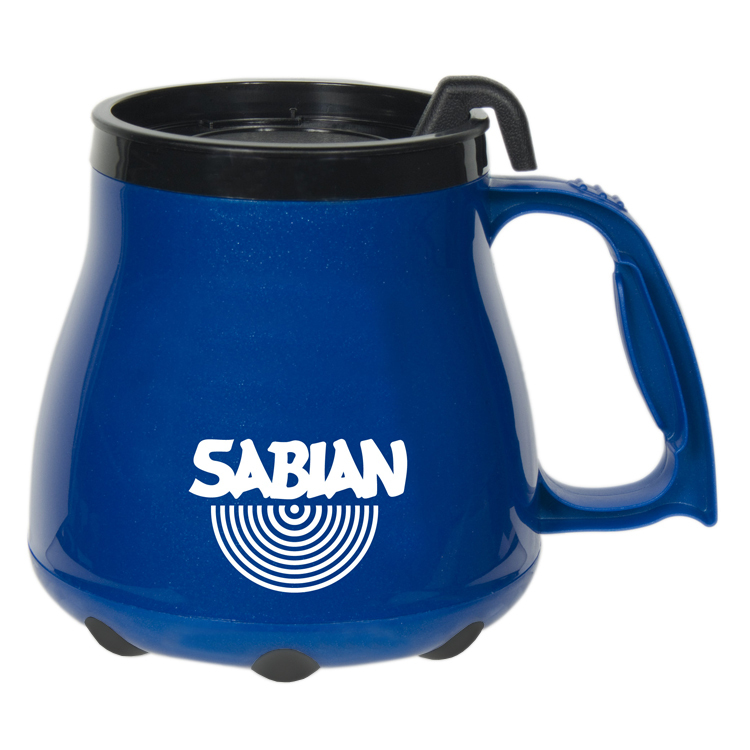 mug has a snap-on spill-resistant thumb-slide lid. 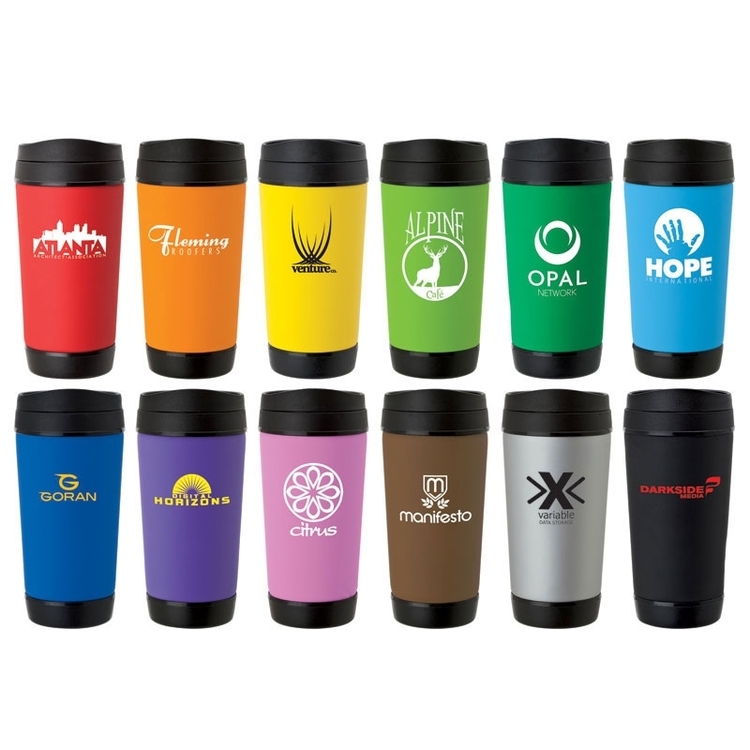 It's great for budget minded companies that still want quality promotional products. 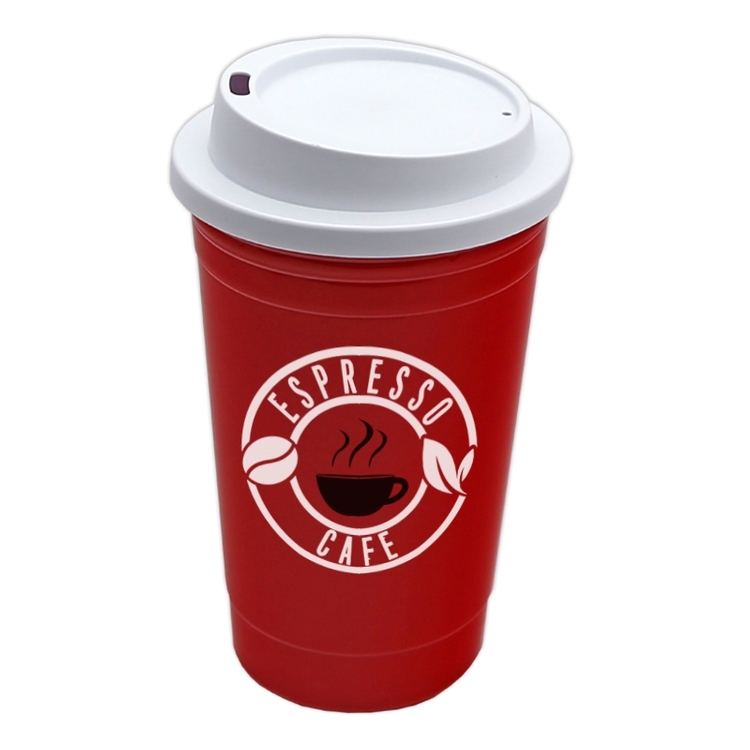 Its double-walled construction and convenient slider lid keep coffee hot or sodas refreshingly cold. It measures 5" W x 7 3/8" H and can be customized with a silkscreened decoration. It's BPA free and made of polypropylene material in the USA. Additionally, it's top-rack dishwasher safe and FDA & Prop 65 compliant. Get a marketing tool that can go the distance!